Perfect balance of geek and interest with no droning. Genuinely excited about the subject matter! Love this podcast & cheers to Earl Evans. Only wish this were an active podcast. Earl leans a bit Commodore in his approach, which is a good thing. I'm a big CBM fan myself. Shows are informative, well prepared and full of interesting tidbits, beyond jut the main theme. The only reason why 4 and not 5 stars is that he is too concentrated on US retro computing, mostly Commodore and Atari, with too little attention on the international retro variety (case in point - Sinclair). Too bad the shows are not coming in too frequently any more. This is one of those podcasts that just takes you in and hooks you. I would have to say the best part about this podcast is how much you can learn. So check it out and be amazed. Just like a blast from the past, this is one great podcast! I have only recently discovered this treasure of nostalgia and have just started listening from episode 1 and man have I been missing out. This is like sitting down with a old friend from 'back in the day' and talking about the computers we started out on and then those we moved on to. Lots of great info, never a dull moment. If you were one of us back in the day, you will love this podcast. Keep up the great work! and that's no easy nor unwelcome task! While some might find the somewhat timid, diary-style podcast entries a tad lackluster, it's exactly for this reason I think I enjoy it so much. It's half an hour of sheer honest nastolgic ponderance - like a good friend spinning you a tale of a mutually enjoyed past - and not a fireworks display of ego, as so many "roundtable" podcasts as of late have become. Old shows were fun and informative. Now running out of material, and releases very infrequently. Asks you to email, but seems to be a email black hole. Don't bother. 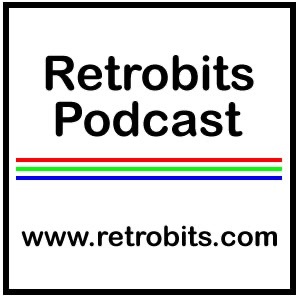 Earl Evans has one of the most informative and addicting podcast to feature retrocomputing! He covers things from Big Iron mainframes to Commodore Computers. This is one podcast I can listen to for hours. This and Retro Maccast are the 2 best retro shows. Earl is the perfect guy to do this. Just geeky enough to be interesting, just normal enough to make you want to listen. He covers great and interesting topics and provides great resources for followup. The guy's an old pro by now having done this litterally for years. He deserves the mad props as he influenced almost every retro based podcast that has come and gone. Try him. Excellent show! Earl always presents interesting and informative retro computer topics. Thanks for the great podcast! You like old computers? You'll like Earl! Excellent show! Earl is a good host and has a good format. Interesting topics and coverage. One of my favorites now.